With rising temperatures in the UAE, it's the perfect time to go to a cooler clime and take a well-deserved break. But there's a small problem - taking a holiday costs money. Luckily, a budget airline in Europe is not just offering two people to fly free together, but they'll even pay you to have a holiday across the globe! WOW Air, a low-cost carrier based in Iceland, is offering two lucky persons the chance to go all around the world for free when you become their WOW Air 'Travel Guide'. 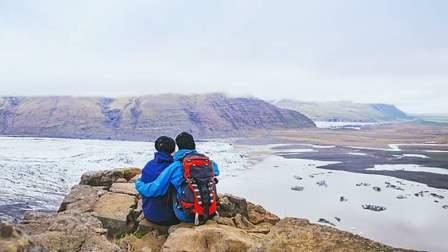 According to the airline's website, the Travel Guide is a 3-month long, paid summer job where you will move to Iceland and travel the world with a companion. The Travel Guide's task is to explore some of the destinations in the airline's network and share these adventures on social media. The job involves getting acquainted with various cultures, cuisines, and activities in every country. You must also share your experiences via vlogs, Instagram posts and any other form of online media you can think of. You will be able to bring along a friend during your 3-month journey and even earn money while holidaying! According to a spot.ph report, the Travel Guide will be paid 3,300 Euros (Dh14,800 approx.) per month just for posting about your adventures online. Now that you know what's in it for you, you must be wondering how to apply for this job. There are only two conditions you have to fulfil and they're both easy. One is to ensure that you have an active Facebook account. The other criteria is to submit a video of at least one minute talking about why you and your friend should be WOW Air's Travel Guides. Anyone from anywhere around the world is free to apply which means that UAE residents can also join. Once you have those requirements, just fill out the application form on their website and you're all set! Deadline for submissions is May 14 and the winning duo will be announced on May 18 through the airline's Facebook. Winners have to respond within 48 hours of being announced, otherwise they forfeit their slot.